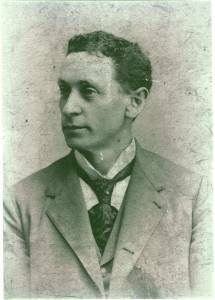 John Joseph Malloy was born in November 1859 at Westport, County Mayo, Ireland.1 He was the son of Joseph Malloy and Mary Brown. John Joseph Malloy married Katherine Gannon, daughter of James Gannon and Sara O'Malley, on 25 April 1888 at Holy Name Cathedral, Chicago, Cook County, Illinois. John Joseph Malloy lived between 1889 and 1892 at 22 W. 4th Street, Williamsport, Lycoming County, Pennsylvania; Williamsport City Directories. John Joseph Malloy died on 23 January 1916 at Blair County Hospital, Allegheny, Blair County, Pennsylvania, at age 56.